Duke City Fencing is Albuquerque’s dedicated club for sport fencing. We are a full service club offering lockers, a complete armory for weapon repair, six electric strips, private or group lessons and many other amenities. Duke City Fencing has fencing classes for children and adults! We offer Drop-In Lessons with Coach Andy, perfect for adult beginners. Our Mini Musketeers class is for children ages 6 - 9, and our Intro to Fencing class is for older kids ages 9 - 15. Your first class with us is free for first-time fencers! All equipment is provided, and no experience is required. We also offer family and sibling discounts. Fencing is a sport for all ages. 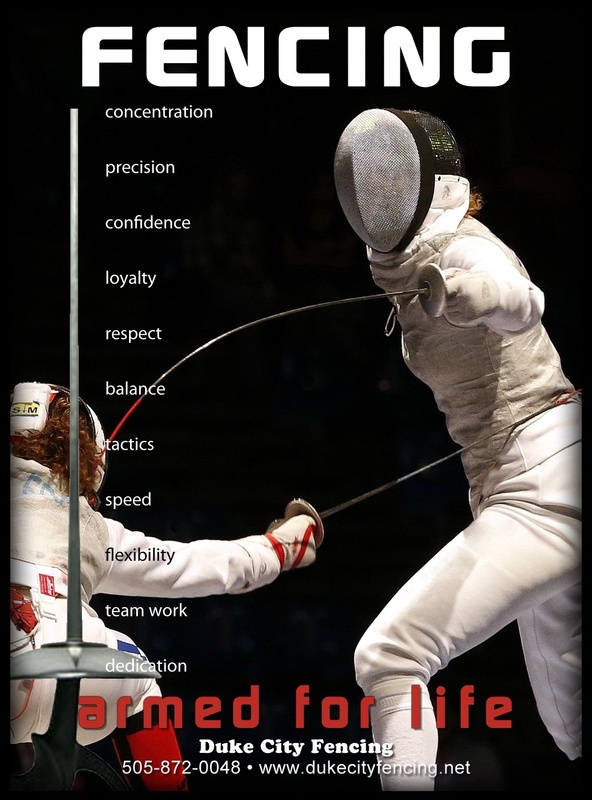 Many of our younger fencers started with us when they were in elementary school and pursued fencing with us through high school and on into college. 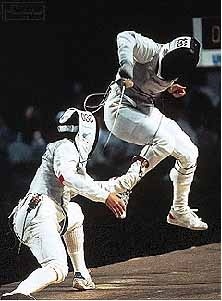 On the other hand, most of our coaches started fencing as adults, went to tournaments, began helping out with coaching and developed their skills from there. Club owner and coach Toby Tolley is a former national Epee champion, certified with the US Fencing Coaches’ College. Coach Tolley is an internationally qualified referee, and she has been teaching fencing to kids in New Mexico for over 14 years. 3:30 pm – 7:30 pm Mon. – Fri.
9:30 am – 12:00 pm Sat. Contact Us! We'll Get Right Back to You! 2. Logan F. "D 2019"
3. David W. "C 2019"
11. Logan F. "E 2018"